I have always been a frugal person. I have never flown first-class. I have never traveled in the fancy front car on the train where you get free drinks AND snacks AND a fresh copy of the daily paper brought right to you. I have never paid the special fee for the privilege of sitting in those special rooms the airlines provide, where people get the drinks and the snacks and the daily paper while lolling on cushy sofas. So when, six weeks ago, my husband David and I begin dreaming of a getaway far from all this snow and ice, I went online and found what looked like a decent room in a hotel on St. Thomas. As I was reading the particulars of the place aloud to him, he said, “Why not just call Scott?,” Scott being the travel agent from The Travel Collaborative used by the company David works for. 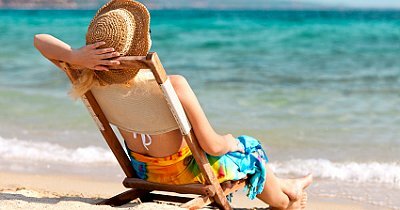 So we did call Scott, who looked into his special Travel Agent’s crystal ball and suggested we register at the hotel at the “club level.” It would cost us more up front, but depending on how much we used it, it might…. just….possibly…. end up costing less. Scott can be pretty persuasive in his own sweet way. He reminded us of how hard the winter had been – poor us! poor us! – and told us how we owed it to ourselves to sign up for this slightly more elevated ‘Club Level’ arrangement. Twenty-four hours later, with our credit card number duly handed over, he closed with his signature remark. “You kids have fun!” he said. And by God didn’t we. We flew to the island, bussed to the hotel and immediately upon unpacking went to check out the ‘Club Level Lounge’, where, from noon on, we could get not only free food but also as many servings as we could want of wine, and beer, and rum. There were, in fact, nine kinds of rum. Nine! Also, tea and coffee. Free for breakfast we could have anything from omelets and bacon to smoked salmon and bagels. And for the day’s two larger meals? Fresh shrimp and cheeses . Soups and fancy wee sandwiches. Fried calamari and salads, and an array of ever-varying cream-infused hot dishes. Because I am a creature of habit, for the first few days I ate in my usual way, subsisting mainly on feathered celery, cucumber curls, fluted carrot sticks and only sometimes indulging in a bite of calamari, carefully stripping it first of its yummy fried-dough jacket. Now me, I don’t really like rum, or beer, and for me – eh! – wine is just wine in the end. However also set out every day and free for the taking were: Vodka (Absolut), Gin (Tanqueray), Scotch (Johnny Walker Red) and Jameson’s. “What IS Jameson’s anyway?” I asked David on our second night. And so I drank me some Jameson’s, and I LOVED me that Jameson’s, and suddenly I felt a sort of floodgate open in me, such that over the course of next three days I devoured the omelets, the croissants, the pastries and the cheeses, as well as many, many calamari, all still wearing their yummy deep-fried jackets. It was an experience, all right. And I’m not sure but I think we just MIGHT have beaten the house in terms of value for our dollar. But now we are home, and both on diets in the hope that we might travel more cheaply again at some future time. Why? Because while we knew the airlines charge for your bags, what we didn’t know is that they charge even more for the added weight of your nice new fat tummy. Right now though? Right now all I can think about is the lolling. and the feasting. and the fun. I’m happy you escaped for a while, Ter. I’m gonna get us some o’that Jamesons. I’m half Irish. How did you take it. Neet or with what? I like Jameson’s a great deal. It’s whiskey without the peat and much easier (for me anyway) to drink than Scotch. You’d think that with all the peat in Ireland, they’d use some. But I am glad they don’t. I had no idea about the ingredient of peat, which I imagine is still abundant over there. My people made fires with it. In the hard times I hear tell they tried to eat it too. Erin Go Bragh!🍀. When my grandson visits, he always brings Jameson. I have never tried it, even though a bottle has been left here. Should I? So far, I have been happy with my nightly glass of Burgundy wine. Well they do say that red wine is good for the heart Joan. I never actually heard anyone say that about the grain (as opposed to the group) you should just keep doing what you’re doing I would say; talk about success! From the internet: “The level of smokiness of a whisky is determined by the time the barley grain is exposed to the pungent peat smoke during drying.” Note the spelling “whisky,” which is how the word is spelled in Scotland. Love it. We all need to indulge sometimes! Felt pretty good Betty – and it feels good to be back home on the diet! 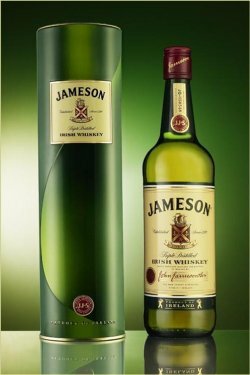 Terry Marotta – How can a fine, Irish lady like yourself not know what Jameson is? I was so surprised by this that I felt compelled to write in 😉 But really, I just wanted to say hello and it’s wonderful to see you let your hair down and kicked the shot glass back for a few moments of indulgence. A few moments of long-overdue and well-deserved indulgence, that is. Much love to you friend, feeling lucky to know you today and always…. Ah jake.. The feeling is surely mutual !